The Rebel Sweetheart. : Nailed | Design Glassware's Art in Every Nail File. Nailed | Design Glassware's Art in Every Nail File. Like most women, I have a penchant for pretty, perfectly polished nails. Getting a manicure and a pedicure is my cheap thrill, and has long been my bi-monthly habit. And although my skills in using a nipper and applying nail polish leaves much to be desired (which is why I always seek the services of our neighborhood manicurist), when it comes to filing my nails, I pretty much have this one nailed. Filing your nails is the first step in achieving picture perfect nails. To keep your nails smooth and shaped, filing should be done properly and regularly. All these can be achieved by one tiny tool - the nail file. You'd be surprised that there actually are different types of nail files. There's the acrylic nail file and the metal nail file. And then there's the most common of all, the cardboard nail file. 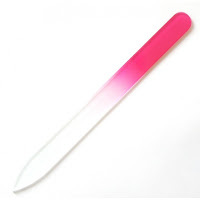 There are also glass nail files and crystal nail files - more expensive than the others, but the most hygienic to use, as they can easily be washed with soap and water. Glass nail files from Design-Glassware.com are manufactured by Mont Bleu, a world-renowned supplier of of glass nail files. Made from top quality Czech glass, these nail files are anything but ordinary. Not only do they bear quality certificates from the Czech Republic, Russia, and EU, they have also been tested and approved by the Czech Institute of Health. Intricate patters and Swarovski crystals are common designs of these nail files. These patterns were crafted in the SIS-Luxury Glass Fashion in Prague - the official design studio of Design Glassware. Each and every glass nail file sold at the store comes with a lifetime warranty, and are packed inside protected plastic cases. 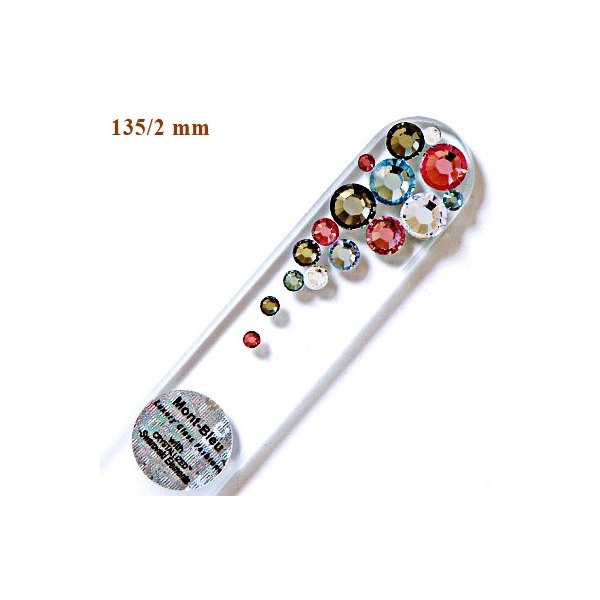 Svarowski Crystal nail files, as the name suggests, are crystal nail files decorated with precious Swarovski elements. Like the glass nail files, they also have a lifetime guarantee on the filing surface, and are made from Czech tempered glass. Variations in the colors and patterns of these crystals give the customer an array of designs to choose from, and makes these nail files a unique work of art. Design Glassware ships worldwide, either through Czech post priority air mail or FedEx international priority service. Shipping via post office is cheaper, but takes approximately fourteen days. The latter is a tad expensive, but shipping time takes only two days at the most. For a limited time only, Design Glassware offers free airmail priority shipping for orders worth over 50 Euros (approximately $70 or Php 2700). The site also offers discounts for wholesalers, with discounts starting at 40% for purchases worth 1000 Euros. 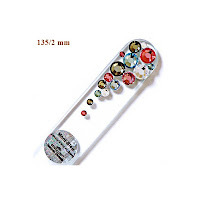 Other note-worthy products sold at Design Glassware include compact mirrors, manicure sets, cosmetic brushes, and pens with Swarovski crystals. I have yet to try glass nal files. Looks like something worth the purchase. Would defo check it out! I agree with them other bloggers :) Never tried using glass nail files. I bet they're going to be a lot more expensive than the usual nail files ..
Wow never saw one of those before! Very fancy product!! I can't tell you the last time I painted my fingernails. Maybe I should start! I never knew there were so many types of nail files! Very pretty. I have tried every kind of nail file and I have to say my glass one is my FAVORITE! I had no idea that glass nail files were even a thing! They are probably gorgeous and last a lot longer than my cheapo emery board.